Reports: Toys 'R' Us to Shut or Sell All US Stores - Integration Through Media ....! 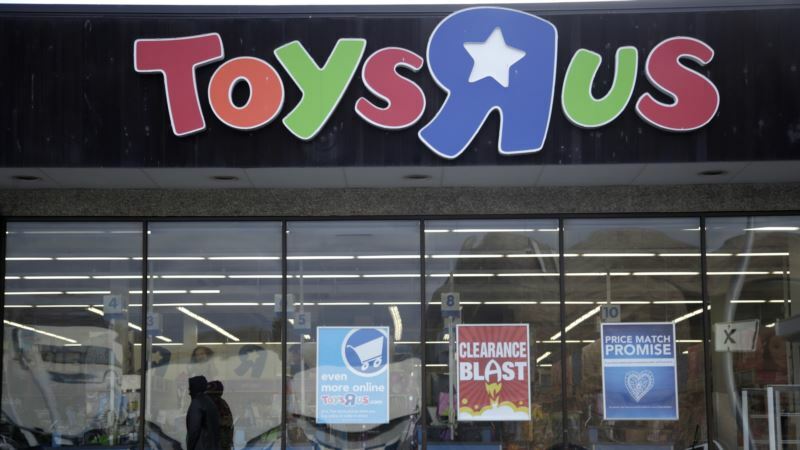 (VOA): Toys 'R' US plans to sell or close all of its US stores, potentially hitting 33,000 jobs, U.S. media reported Wednesday. The debt-plagued retailer, which filed for bankruptcy protection in September, told employees that the retailer planned to file liquidation papers ahead of a Thursday court hearing, The Wall Street Journal and The Washington Post reported. "We're putting a for sale sign on everything," CEO David Brandon said on a conference call with staff, according to the Journal. Company officials did not immediately reply for a request for comment. Started in 1948 amid the postwar US economic boom, Toys 'R' US has 881 stores in U.S. territories and nearly 65,000 employees globally, according to the company's most recent press release last month. The New Jersey-based company was saddled with debt following a leveraged buyout in 2005 by a consortium that included the KKR Group and Bain Capital. Much like other retailers, Toys 'R' Us has also been bruised by competition from Amazon and other online retailers. A weak holiday shopping season weighed on the company's efforts to reorganize, analysts said. Neil Saunders, managing director of GlobalData Retail, blamed the company's woes on poor leadership. "As the competitive dynamics of the toy market intensified, management failed to respond and evolve. As such, the brand lost relevance, customers and ultimately sales," Saunders said in a note Wednesday. "The main tragedy of liquidation will be the extensive loss of jobs. In our view, those on the shop-floor have been badly let down by management and those doing financial deals." The company is exploring strategies for keeping the brand alive, including the sale of 200 U.S. stores that could be packaged with its Canadian business, CNBC and the Journal reported. Brandon outlined this and other possibilities at the New Jersey meeting, CNBC reported. Brandon also told workers they have 60 more days of employment at the company. In February, the company's British business announced plans for an "orderly wind-down" of the company's store portfolio. Toys 'R' Us employs 3,200 people at 100 stores in Britain.